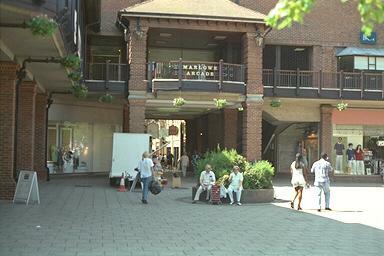 The Marlowe Arcade is named after the theatre which stood on this site. The theatre was moved to the Odeon Cinema at the west end of the City and this set of shops were built. The passage way leads to St. Margaret's Street. Photograph July 1996. © Copyright Peter Collinson, All rights reserved.